SDI forecasts growth of its professional IT team by 20% in 2018; completes acquisition of West Coast IT management consultancy NexLevel IT. SDI Presence LLC (SDI) announces the appointments of Mark Raffel to Chief Operating Officer and Cecelia Bolden to the newly created role of Chief Development Officer. The firm, which recently acquired West Coast IT management consultancy NexLevel IT, makes the moves as it forecasts growth of its professional IT team by 20% in 2018. In his new COO role, Mark will facilitate the transition of sales to project engagements, and oversee services delivery throughout the regionally-focused firm of 130 professionals. In addition, he will focus on improving internal operational processes and reporting key metrics to the delivery teams for responsive project management. Raffel is a 11-year veteran of the company, most recently holding the position of Chief Revenue Officer. Mark has held various client-facing service delivery and operations positions with Whittman-Hart, Ernst & Young, and EDS. “I’m excited to assist our client delivery teams by providing additional tools to enhance our client satisfaction, while also being efficient in our back-office activities,” states Mark. As the firm’s first Chief Development Officer, Cecelia Bolden will oversee enterprise sales, solution development, diversity and inclusion programming, and SDI team talent development. Named a Chicago United Business Leader of Color in 2017, Cecelia brings 30 years of experience in the information systems industry, holding consulting and quality positions at Accenture, Oracle Corporation, MCI/WorldCom, Whittman-Hart and divine, Inc. A 14-year veteran of SDI, Cecelia is active in several civic organizations, including Business Leadership Council, Leadership Illinois, Circle Urban Ministry and Jack and Jill of America, Inc. Since reclaiming the SDI organization in 2016, founder Gupta has doubled down on the firm’s success in client IT advocacy and managed services programs, while building additional capabilities in cybersecurity, IT Portfolio/Project Management Office, and hybrid IT infrastructure. Its acquisition of NexLevel reinforces the SDI Team’s consultative technology expertise and adds additional PMP-certified project managers to the team’s growing roster. In line with business demand, SDI’s in-house recruiters encourage interested IT professionals to learn more about SDI opportunities at https://www.sdipresence.com/about/careers/. SDI Presence LLC is an IT managed services provider (MSP) that leverages its strong team presence to provide industry-leading IT services while advancing our clients to a secure and digital enterprise. With a 20-year corporate resume, SDI delivers strategic managed services, IT consulting and hybrid infrastructure solutions using its proven ITIL-based SDIPathTM methodology. SDI is a certified Minority Business Enterprise (MBE), with a portfolio of clients that includes some of the nation’s largest airports, utilities, commercial real estate portfolios, and government agencies. SDI delivers a deep technical presence through a local delivery model to achieve customer confidence and success. Visit us at http://www.sdipresence.com and connect with us on Instagram and Twitter. 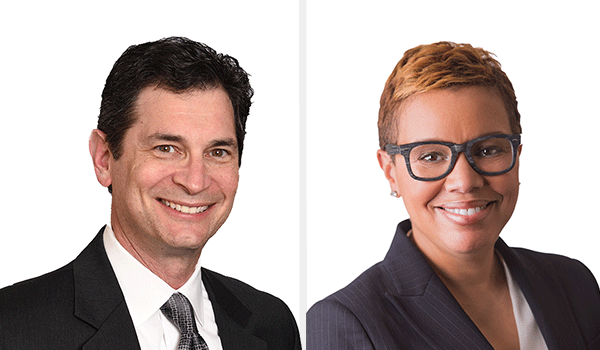 SDI's new Chief Operating Officer Mark Raffel and Chief Development Officer Cecelia BoldenSDI Presence LLC (SDI) announces the appointments of Mark Raffel to Chief Operating Officer and Cecelia Bolden to the newly created role of Chief Development Officer.